The competition was played over three days, starting on Saturday, January 12, 2019 and concluding on Monday, January 14, 2019. It had 96 entries. The following reports were put on the CBSA (China Billiard and Snooker Association) and cover each of the competitions days. The texts have been automatically translated by Google. 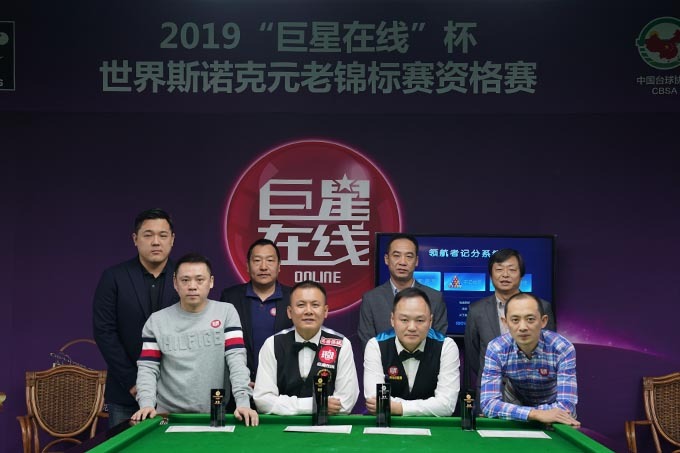 China Billiards Association official website news January 12, 2019, “Superstar Online” Cup World Snooker Championships China Qualifying Tournament kicked off at the CBSA World Snooker College in Beijing. Xu Xinjian, Zhang Dongtao and Zhang Kai, three national team coaches, last year’s champions Cao Kaisheng, runner-up Qu Zhiwei, and Guo Hua, Yuan Cheng and other veterans signed up for the competition. The World Snooker Veteran Championship is a series of events for players who are 40 years old and have a world ranking of 128 snooker. This year is the second consecutive year of CBSA World Snooker Academy to host the China Qualification Tournament. The winners will receive direct tickets to the 2019 World Championships and 15,000 yuan. Director of Billiards Program of Small Sports Management Center of National Sports General Administration, Liu Chunsheng, Deputy Secretary General of China Billiards Association, Secretary General of China Billiards Association, Tang Fengxiang, Senior Consultant of CBSA World Snooker College, Ni Hao, Director of China Billiards Association, Beijing Ruigai Technology Liu Wei, general manager of the company, director of the China Billiards Association Training and Teaching Committee, and Chen Yizhou, head of the “Superstar Online” of Beijing Ruigai Culture Media Co., Ltd., attended the opening ceremony of the event held this morning. At 10 am, the game started on time. Because of the large number of participants, there were two rounds of competition today. 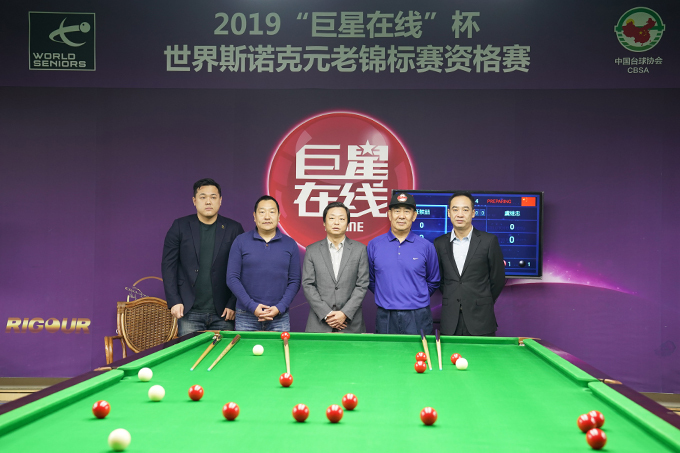 Among them, the previous champion Cao Kaisheng hit a single shot 71 points and zero opponents to advance to the top 64, Qu Zhiwei won two consecutive two finalists, Xu Xinjian, Zhou Changfu, Fu Jing and others also won their respective 32 opponents. Xu Wei from Jinan, Shandong, made a single shot of 101 points in this evening’s game to become the highest score holder of the current event. 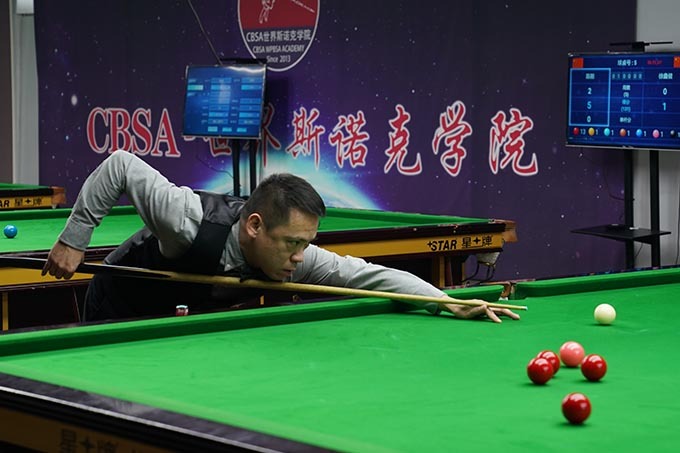 China Billiards Association official website news on January 13, 2019, the World Snooker Championships China Qualifying Tournament decided on the top four places, from Anhui, Chen Gang, Fu Jing, Qu Zhiwei and Cai Jianzhong respectively defeated their opponents, advanced to the semi-finals. Although the veteran tournament is aimed at players over 40 years old and the world’s snooker ranks 128, the performance of the veterans in the game is not inferior. On the first day of the game, Zhang Dongtao, Tian Wenshun and Xu Xinjian played a single shot 50+. Fujing and last year’s champion Cao Kaisheng had a single-shot 70+ performance, while Xu Wei from Jinan, Shandong Province also performed a single shot of 101 points, stunning the audience. Today, fighting again, Xu Wei became one of the focus of the audience. In the top 16 battles, Xu Wei and Fu Jing played against each other. Xu Wei’s fiery touch yesterday did not continue to this day. After four rounds of contests, Xu Wei 1-3 lost to Fu Jing and regretted leaving. In this round, Li Chun, who played later in the game, became the second player in the qualifier of this competition to play a single shot. In the match with Li Qi, Li Chun won a single shot with 80 points and won the second game. After the victory, Li Chun from Jiangsu gave a single shot 101 points in his winning game, and his opponents made a strong promotion. Another high-profile game at the same time was the contest between Cao Kaisheng and Guo Hua. Last year, Cao Kaisheng participated in the China Qualifying Tournament of the Veterans, and in the finals defeated the famous Qu Zhiwei from Hong Kong, China, and won the ticket to participate in the veteran race. 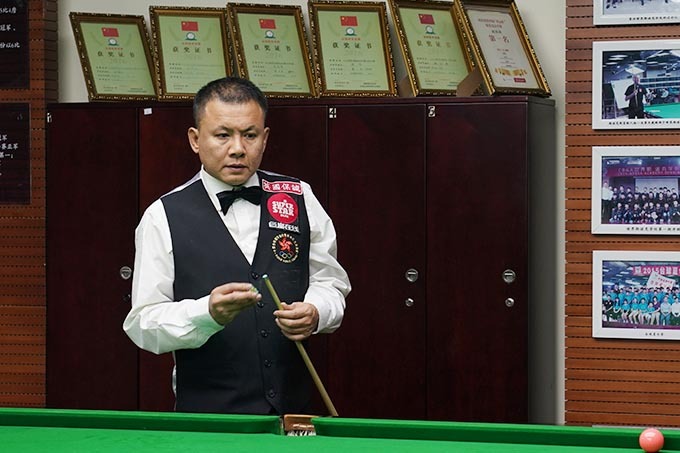 Guo Hua participated in the National Amateur Snooker Masters last year and won a foreign card for the World Snooker Shanghai Masters with outstanding performance. Today, the two veterans conducted a total of four contests. In the end, Guo Hua defeated the opponent with a score of 3-1 and cut off Cao Kaisheng’s road to defending. In the eighth-final, Chen Gang, from Anhui Lu’an, continued to move forward. Xu Xinjian, vice president of CBSA World Snooker College, eliminated Ma Rongjie with the same score. 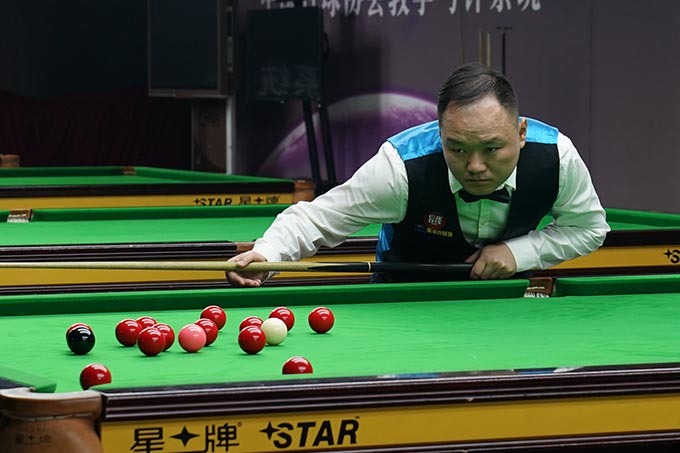 Zhou Changfu won 3-0 victory over Zhang Haidong and Fujing won three games. Guo Dayong passed the customs. In the lower half, Li Chun, who had just hit the break, was defeated by opponent Qu Zhiwei in the first win. Cai Jianzhong 3-0 took Tian Wenshun to the top 8, and national team coach Zhang Dongtao 3-2 will drop Guo Huayu. Write your name on the quarter-finals list. In the final match of this round, He Baozhen and Zhao Jijun battled to the deciding game. According to the rules of the game, the deciding game used the black ball to determine the outcome. 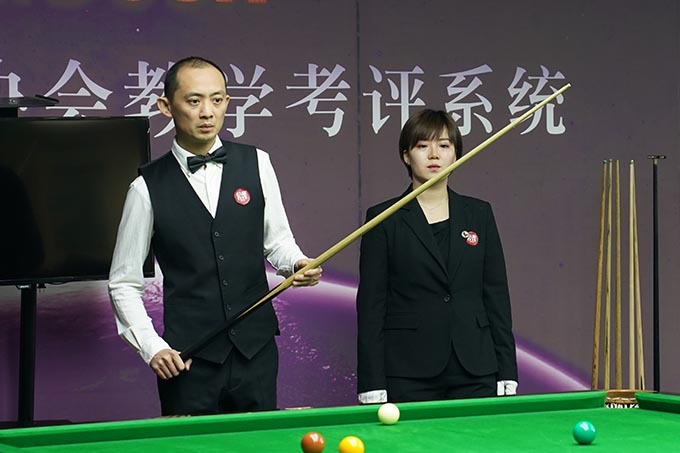 In the final decisive battle, He Baozhen’s attack failed to leave the black ball in the pocket, and Zhao Jijun got into the game and thrilled. In the evening, the quarter-finals were fully launched. Xu Xinjian, who had not lost in the promotion of the road, suffered a strong attack from Chen Gang of Anhui. As a result, Xu Xinjian lost his opponent 0-3, and another national team coach Zhang Dongtao 1-3 lost to Cai Jianzhong in the fourth day of the match. 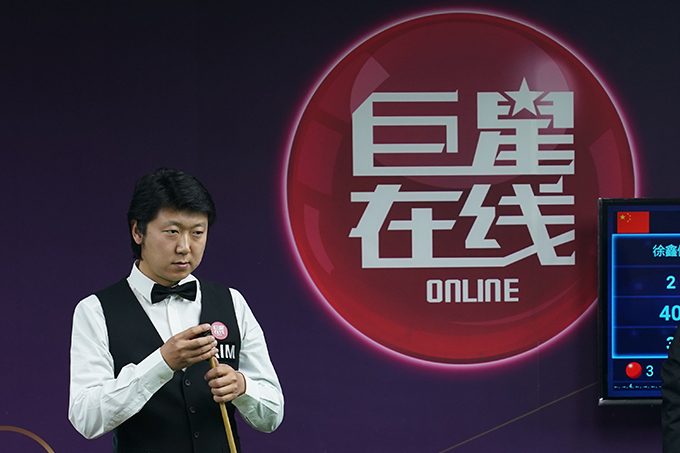 Fu Jing 3- 1 defeated Zhou Changfu, Jin Zhiwei 3-0 Zhao Jijun. In the veteran competition in China, Zhiwei won the championship and won the ticket. 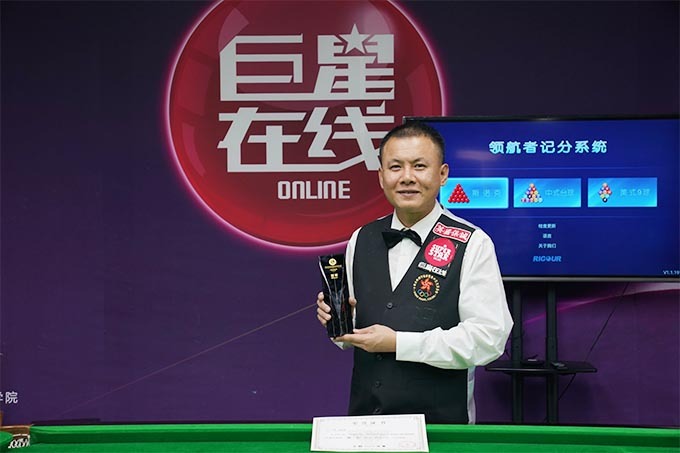 China Billiards Association official website news on the afternoon of January 14, 2019, “Superstar Online” Cup World Snooker Championships China Qualifying Tournament ended at CBSA World Snooker College, after three days of fierce competition, and finally from Hong Kong, China in the final, Qu Zhiwei defeated Chen Gang from Anhui and won the ticket to the World Snooker Veterans Championship while winning the championship. The World Snooker Veterans Championship is an international event open to players over 40 years old and outside the world’s snooker career rankings. This year is the second consecutive year of CBSA World Snooker Academy. Last year, Chinese player Cao Kaisheng passed the championship and won the championship. He was on the world stage and glory for the country. The success of the China Qualifying Tournament last year ignited the enthusiasm of the old athletes, and the number of players who signed up for this year’s China Qualifying Tournament increased, and the difficulty of the competition was also increased. In the three-day competition in three days, the high-density and high-intensity confrontation is not a small test for the old athletes. On the way to the promotion, last year’s champion Cao Kaisheng lost to veteran Guo Hua in the third round and defended his dreams. Xu Wei and Li Chun, who played in the two games, also left the game, and finally came from Anhui’s Chen Ganghe. Hong Kong player Hong Kong Qu Zhiwei broke into the final of this year’s China Qualifying Tournament.